From MRI and CT hardware failures to issues with X-ray, R&F, and bone densitometry machines, we offer direct repair and asset management for any radiology equipment you need serviced. Our expertise extends to ultrasound and mammography machines as well, and our comprehensive service agreements cover chillers, cameras, and coils. 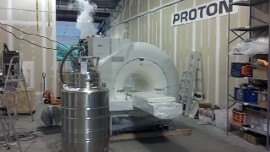 Contact us for complete repair services for your imaging equipment, including MRI and CT scanner maintenance.